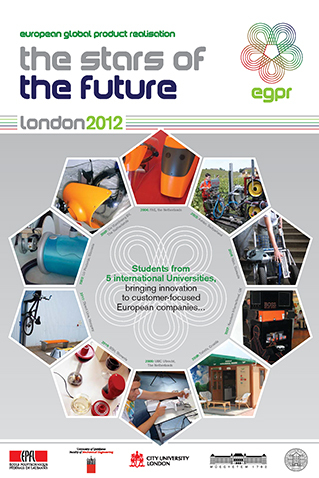 The basic philosophy of the EGPR educational project is the development of competence to solve problems by design. This requires the development of five specific capacities. The EGPR course provides an overview of these capacities. A full development of sound design competence can only be reached after wide education and years of practical experience. The current course uses international and multidisciplinary cooperation to develop such competence. organisation/management capacities of the students. the mindset related to materialisation and realisation. being accustomed to working in a multicultural environment. practising English language at a professional level. 5. Design experience, or the familiarity gained from seeing and doing things in the course of acting as a designer, and the obtained feelings and reflections related to designing and designs. Students come together with their own backgrounds and fields of experience, they share and combine this to create new experiences as a result of the synthesis of experiences. We think that the concept of the Academic Virtual Enterprise forms an excellent means that enables students to develop these competences.